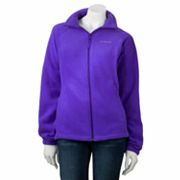 It’s almost 100 degrees outside where I live, but Kohls.com has Columbia Solid Fleece jackets (regularly priced at $60) on sale for $24! Click here to get one. There are several different colors and sizes available, but they will go fast, so if you need a new winter jacket, check this deal out quickly. Go in on an order with a couple of friends and get free shipping (with orders of $75 or more), and get $10 Kohl’s cash with every $50 spent.